hopefully, the people that have happening.arm to our country those people will certainly be looked at. i have been looking at them a long time and i have been saying why haven't they been looked at? they have lied to congress. many of them know who they are. they have done so many evil things. i love this country as much as i can love anything. my family, my country, my god. but what they did, it was a false narrative, it was a terrible thing. happen toer let this another president again, i continue that. i say it very strongly. very few people i know could have handled it. we can never, ever let this happen to another president again. thank you all very much. 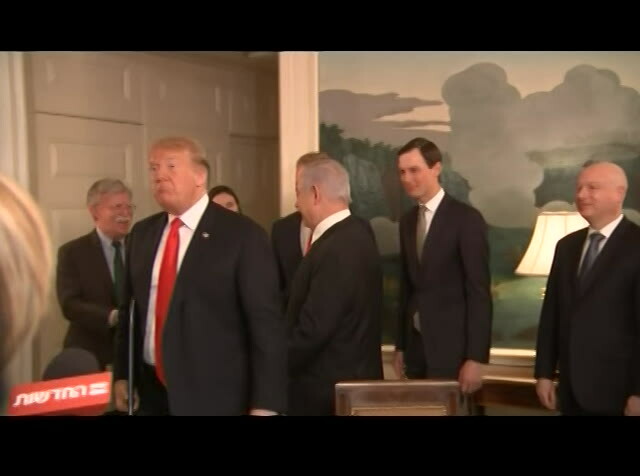 [shouted questions] trump: thank you very much. 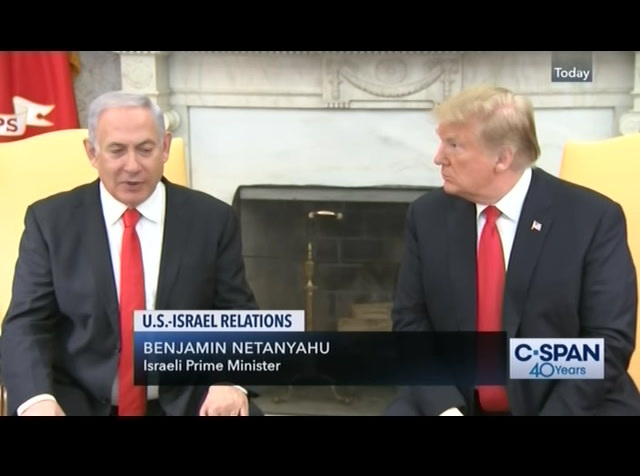 [indiscernible] [captions copyright national cable satellite corp. 2018] [captioning performed by the national captioning institute, which is responsible for its caption content and accuracy. visit ncicap.org] >> c-span's "washington journal congo live every day with news and policy issues that impact you. morning, auesday kentucky republican congressman discusses the release of the mullah report and future congressional investigations into president trump's business and political affairs. 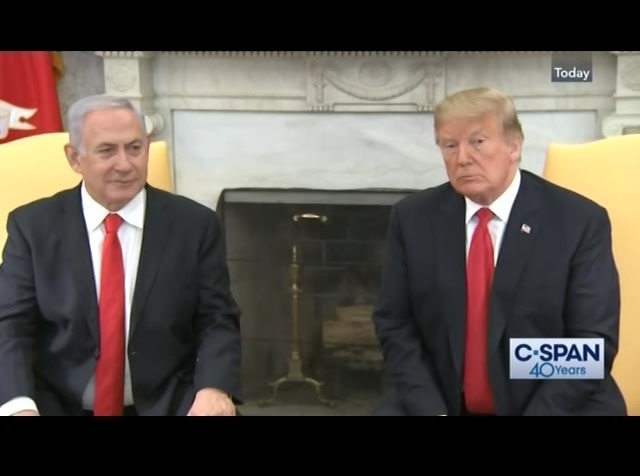 President Trump met with Israeli Prime Minister Benjamin Netanyahu in the Oval Office after signing a proclamation declaring Israel's sovereignty over the Golan Heights. 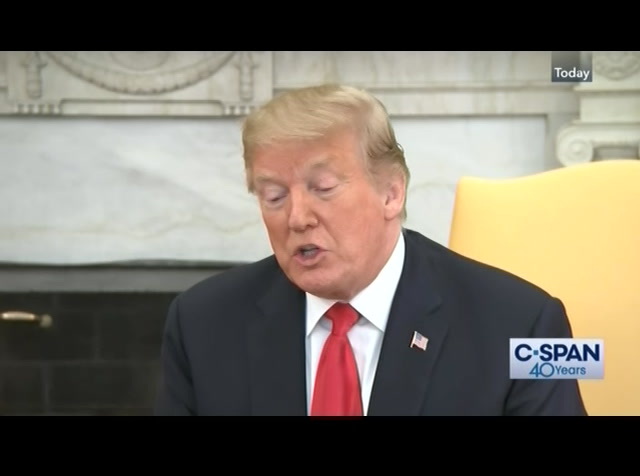 The two leaders gave brief remarks to reporters, and President Trump responded to a question on the Mueller investigation, saying he was "glad it's over," and that it should never happen to another president again.